Minta Bell Design Group is a team of professionals dedicated to providing finely crafted, stylish and practical interiors to our clients and community. Our unique interiors can best be described as livable and sophisticated. From inspiration to installation, they incorporate classic, clean lines with function to create spaces that fit your lifestyle. Roberta Frank Designs is a full service Interior Design firm where form and function meet to reflect the comfort and lifestyle of today. We are passionate about what we do, and are committed to excellence. We have two ultimate goals: to help you fall in love with your home all over again and to provide an exceptional experience. Eddie Rider Designs provides Interior design services in Raleigh, Wilmington and along the East Coast. From Turn-Key design to Pre-Construction planning & materials let us design your dream! Lisa Allen is a savvy and talented interior designer who has worked with homeowners and businesses in the Cary and the Triangle NC area for more than 20 years. Best of Houzz 2017! Bardi Designs is a reconstruction and Interior Design firm in Raleigh NC. We specialize in high end residential interior design and boutique commercial projects. As a kitchen and bath designer in the Triangle area since 1994, I have assisted many clients with cabinet and countertop selections for their homes. Projects include new construction projects and remodel projects, although remodels seem to be more my specialty. It is always a pleasure to help homeowners see the potential of converting their existing spaces into something new and beautiful. The Design Haüs creates and fully executes classic designs while integrating the most current product trends that together, transcend time. The image rendered is classic yet current. Kristyn’s specialty is design that promotes a comfortable and gorgeous space for families. Exquisite taste and one on one service positions her as the top designer in Raleigh. Full service residential interior design firm serving the Chapel Hill, Raleigh, Cary, Durham, Hillsborough, Greensboro, Charlotte and surrounding areas. Debra Zinn Interiors’ fresh and modern approach to classical design helps each client express their own sense of style. Debra approaches each project with the attitude that working with an interior designer should be an engaging and unpretentious experience. At Adryin Glynn Designs, we play an integral part of the design process–we are with you every step of the way. When you work with us, you are guaranteed to love the experience…room by room. As the most trusted design build firm in the area, Lida Carlson is very hands on from the beginning planning phase, to designing, all the way through to the completion and build of your home. 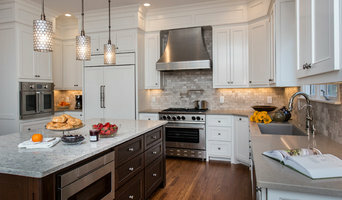 Fresh Kitchen & Bath Design is an independent Raleigh-based design firm owned and operated by Anne Harvey. We offer high-quality cabinetry and accessories at fair prices to bring our custom designs to life. Let us help you fall in love with your home all over again! Call 919.571.1719 or email anne@freshkitchenandbathdesign.com to schedule an appointment. For beautiful transformations, choose Vermillion Interiors of Raleigh. With more than 1000 home projects in my portfolio, I have the experience to make your vision a reality. Simply O Interiors specializes in helping you create a space that speaks to who you are while providing a functional, inviting atmosphere to which to come home. No two clients are the same, and no two homes function the same; we take pride in listening and customizing our services to your needs, resulting in livable luxury and spaces that truly feel like home. We believe building, renovating, and decorating should be enjoyable, and it is our desire to help guide you and increase your confidence in the process. We work hard to meet all of your needs and most importantly to stay within the budget or sometimes even beat it! Whether you have a large or a small budget we do out best to find the best products at the best prices and make your room a place to which you want to come home. We offer services for all budget levels and projects stages, and we look forward to discussing your specific needs. 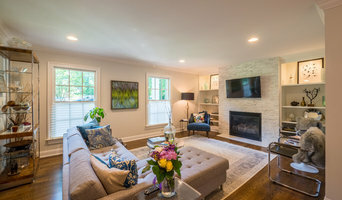 A full-service boutique Interior Design firm located in the Triangle Area, TEW Design Studio is committed to artfully crafting functional residential and commercial environments. 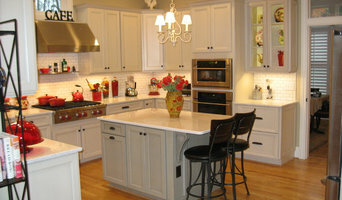 An affordable coaching service for remodeling, decorating, building a home, staging for resale and age in place design. We offer expert advice and ideas that are independent and unbiased...from choosing a contractor to picking a paint color. A simple hourly rate with no up-selling, no markups, and no hidden fees. Every session is with the owner (Jodi) who specializes in working with homeowners who want livable, beautiful, and up-to-date homes done affordably. While Decor Coach provides guidance on what to buy and where, and who to hire, we do not sell any product and do not receive any commissions for referring homeowners to specific stores or to other professionals. We are an award-winning custom builder specializing in large-scale, high-end remodeling and addition projects in the Raleigh area. For over 25 years, we've created value for our clients through personalized, high caliber design services. We provide assistance to people embarking on the rewarding journey of designing and building. Our team of glass experts is committed to providing our customers with the best value — that means combining a reasonable price with outstanding service and exceptional glass products. Julie Wagner designs beautiful living spaces for residential customers of all ages, family demographics, and styles in the Chapel Hill area. No matter what you envision for your home, Julie will work with you to make the reality even better than you dreamed. Clearcut Construction, Inc. is a local, family owned and operated business of 20 years. We are also Parade of Homes winners. 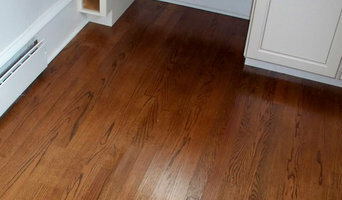 We specialize in renovations, attics, kitchens, baths and much more. In business locally since 2005, Red Chair Home Interiors offers affordable, hourly interior decorating assistance to clients in and around Cary, NC.